Designated as CEO of Apps Discover Technologies, Mr Ashish Bahukhandi is a Bachelor Computer Sciences from Career Institute of Technology & Management (CITM), Faridabad, Haryana, India. 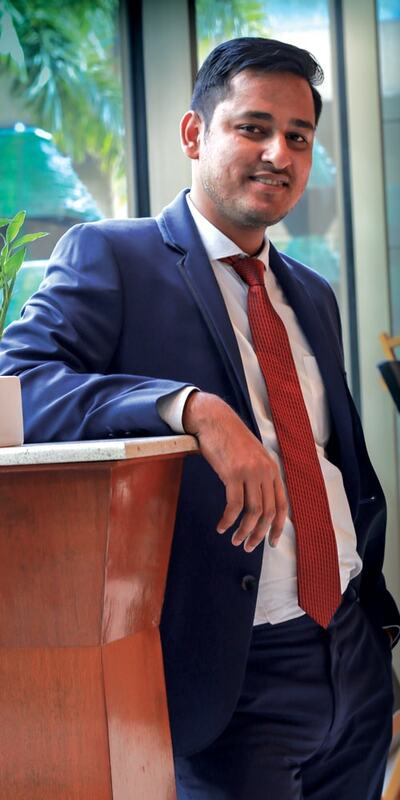 Ashish is an energetic, young and dynamic computer engineer with an immense amount of prolific experience in product development, consulting and operations across various verticals of IT, Digital Marketing and Advertising. Being the CEO, he directs and aligns the company’s operations and strategic objectives in line with the short and long term business goals. He is a man of clear vision, great foresight, and acute business acumen. As a tech savvy, Ashish envisaged a bright business opportunity in ever-growing internet industry which inspired him to establish Apps Discover. As a young entrepreneur with passion to innovate, he continually ensures to provide finest solutions to the advertising industry and help them achieving their business goal in the easiest way possible. The young lad continually ensures to provide finest solutions to the advertising industry and help them achieving their business goal in the easiest way possible. His contribution and effort have reaped the fruit, as the company has grown manifolds. With his deep-rooted culture of working together and a partner-first approach, Apps Discover has reached soaring heights. He is responsible to provide leadership and guidance to our Different Teams. Being the key-member in the senior management team, he looks forward to expanding Apps Discover’s business operations through increased headcounts of talented people and revenue in order to make it world’s leading advertising company. Apart from computer sciences, Ashish loves to spend time listening to music, reading tech-oriented and motivational books, and loves to travel around the world. Not only this, Ashish is also trying his hand in travel blogging as he believes global exposure is a part of business.